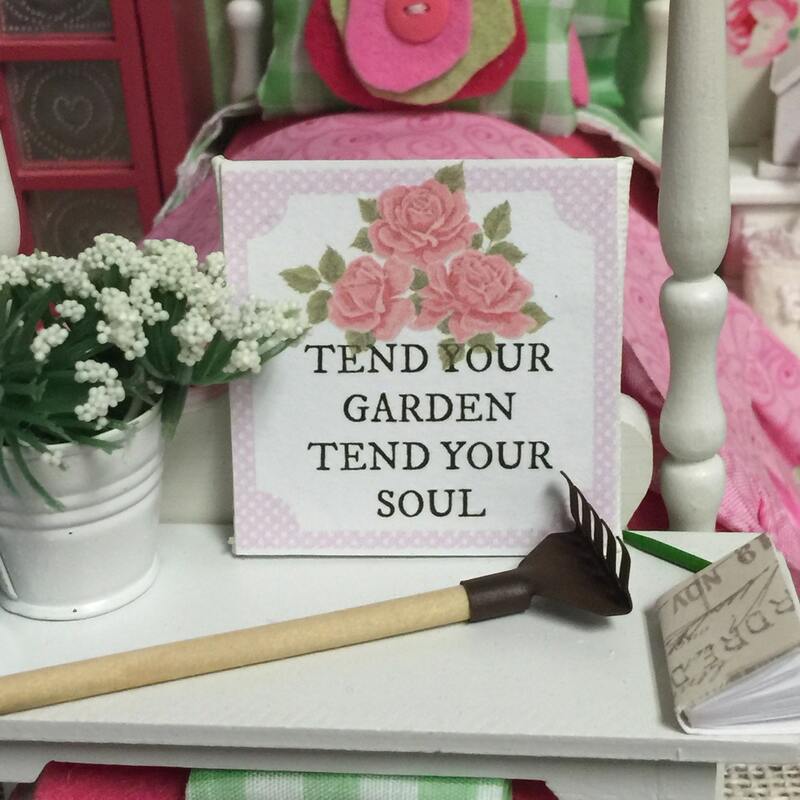 Tend your Garden Canvas Word Art 2" x 2"
For those garden and even do little Fairy gardens, there is a secret joy in planting little things and watching them grow into beautiful blooms and blossoms. While organizing rows of seeds we somehow organize our thoughts too! 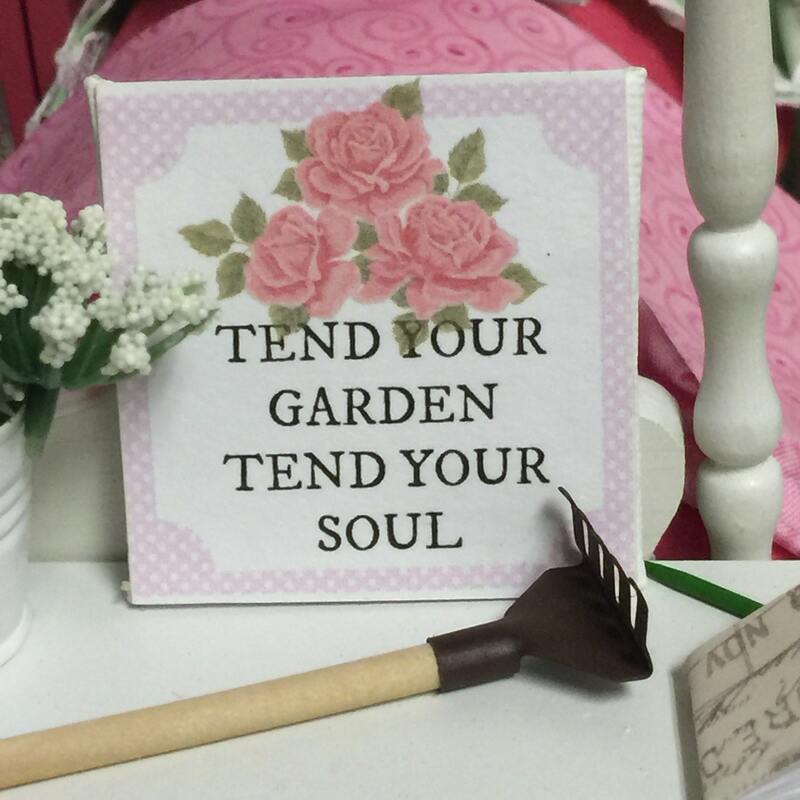 This phrase we use often when we plant our garden. 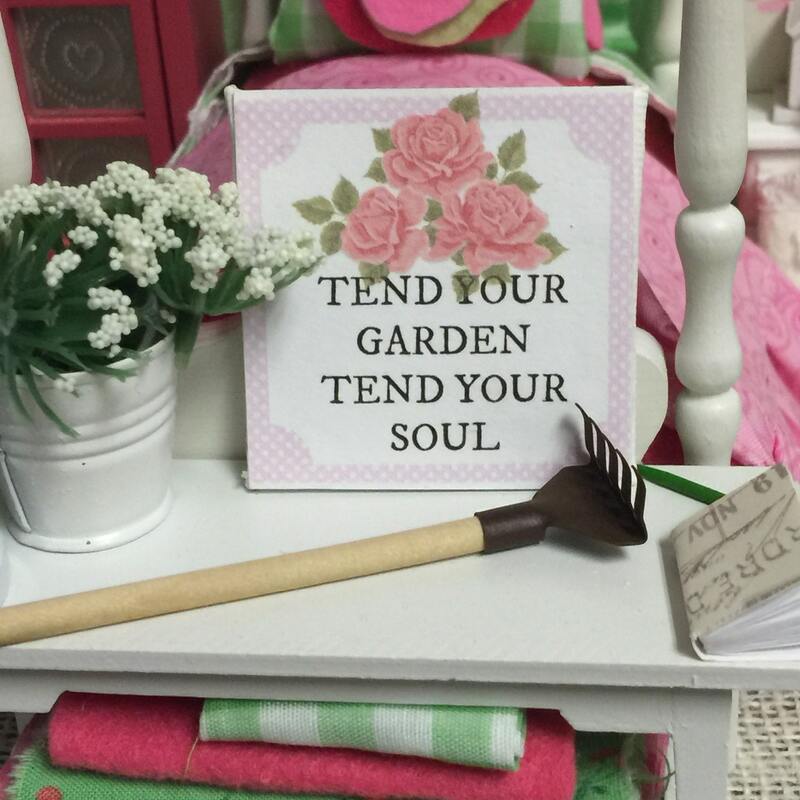 This word art would be a lovely gift as well. This little art work was designed by me and adhered onto the miniature canvas. This wonderful canvas art is perfect for sitting on a shelf where your favorite female can enjoy the words each time she sees this scripture. Wonderful words of affirmation for a mom, teenager, aunt, sister or grandmother or you! **If you order this I'll wrap it in tissue and tuck in a card saying it is a sweet gift from you! I created this design and then adhered it to a miniature artist canvas. 2" X 2"